Yetminster is a village of some 1000 people at the northern end of the Wriggle Valley in Dorset, England. It is based around a high street of mainly 17th and 18th century houses. The village is well served with amenities; it is a request stop on the Heart of Wessex (Bristol to Weymouth) railway line and has a daily bus service to both Yeovil and Sherborne. Both these towns are about 5 miles away. Amenities within the village include a Health Centre; St Andrew’s Primary School; a Veterinary Practice; a pub; a Village Store and Post Office; 2 Hairdressers; an Antique Shop; 2 Cafes and an Art Gallery. The village shares its Parish Council with the much smaller village of Ryme Intrinseca and the small hamlet, aptly named Hamlet. The village also celebrates – albeit by Blue Plaques – Benjamin Jesty and Sir Robert Boyle. Jesty was a local farmer who realised that his milk girls did not get smallpox because they had caught cowpox from the cattle. He therefore ‘vaccinated’ his wife and family with cowpox. Sir Edward Jenner then carried on the research. Sir Robert Boyle a 17th century scientist who proved ‘Boyles Law’ left money in trust for the education of the poor and needy of Yetminster. This trust still exits today. Yetminster is a village of some 1000 people at the northern end of the Wriggle Valley. It is based around a high street of mainly 17th and 18th century houses but boasts many more modern houses and bungalows in the estates at the eastern and western ends of the village. There is also some sensitive infilling within the ‘conservation’ area. The village is well served with amenities; it is a request stop on the Heart of Wessex (Bristol to Weymouth) railway line and has a daily bus service – albeit limited – to both Yeovil and Sherborne. Both these towns are about 5 miles away and between them provide all the shopping services one might need. Amenities within the village include A Health Centre with pharmacy; St Andrew’s Primary School with a play group attached; a Veterinary Practice; a Village Stores; a Hairdresser; a Post Office; 2 cafes; an Antiques market and an Art Gallery. There is also a Montessori Nursery. A small industrial site by the railway station has a Joinery, Garage, Carpet Business, Car Body Repair Shop; Gear Box Engineering; Animal Feed Store; Antique Warehouse and a Motor Parts Business. There is a pub ‘The White Hart’ in the High Street. To the east of the village is a sports field with a Sports Club; Tennis Courts: adjoining this is a field of Allotments with a Scout Hut and Children’s Playground close by. Also to the east of the village is a recreational wood planted by The Woodland Trust at the Millenium. The Parish Church of St Andrew’s, which being at the highest point dominates the village, is the ‘mother’ church of the Wriggle Valley Benefice; there is also a Methodist Chapel. In addition there are numerous village clubs and societies. 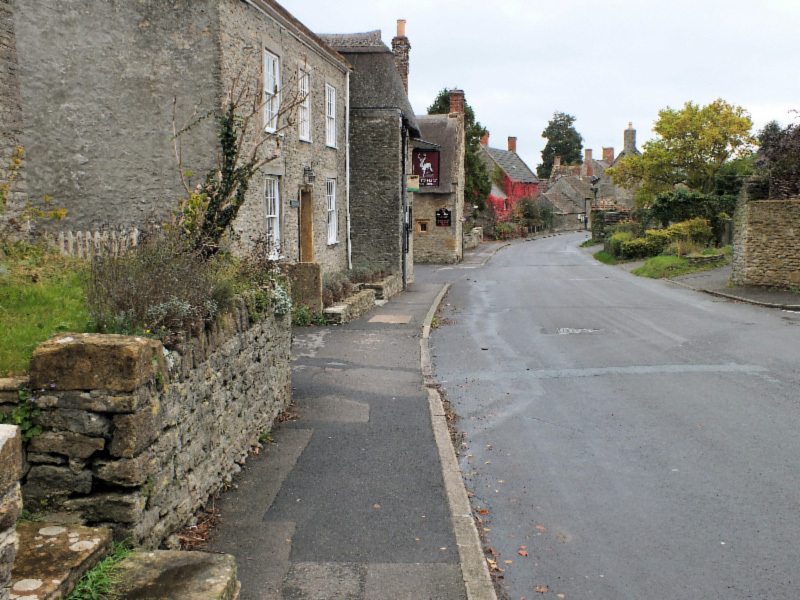 The village shares its Parish Council with the much smaller village of Ryme Intrinseca; it is in the Yetminster Ward of West Dorset District Council; the Sherborne Rural Ward of the County Council and the West Dorset Parliamentary Constituency. The Yetminster Fair – which dates back over the centuries – is held in the High Street on the second Saturday of July each year. Until they disbanded the ‘Yetties’ folk group (all local men) performed in the evening. The Church in Ryme Intrinseca, part of which dates back to the 13th century, is one of only two in England that is dedicated to St Hippolyte, the other being near Hitchin in Hertfordshire. The name is suggested to come from the Saxon word “Rima”, which means edge or rim and refers to the village in relation to a range of hills to the south. In mediaeval times a nearby village of Ryme Extrinseca was associated with the manors of Long Bredy and and Langton Herring, though the name has long since disappeared.